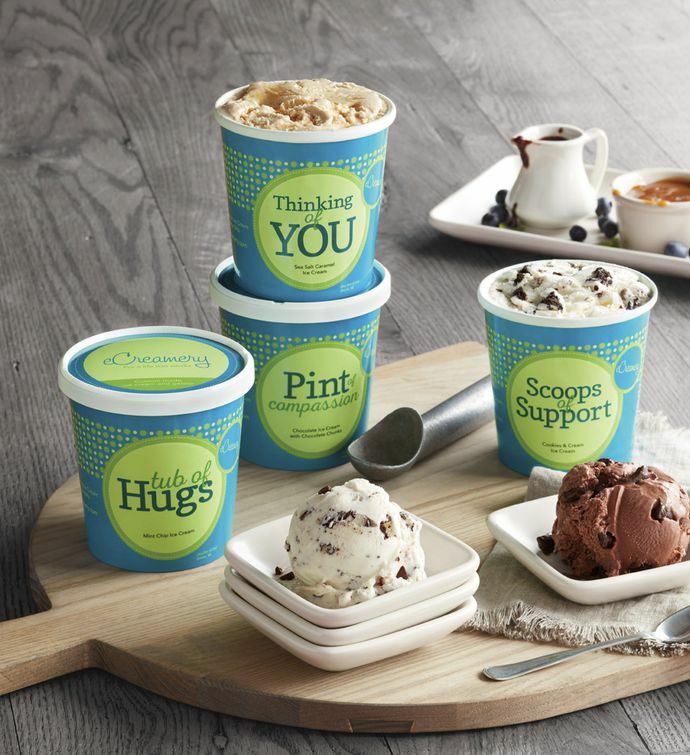 The Sympathy Ice Cream Assortment is an elegant and personal way to show your support for someone who dearly deserves it. 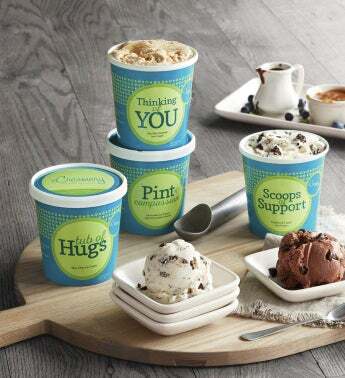 Each pint is named with a supportive message, such as "Pint of Compassion" and "Tub of Hugs," and all are filled with one of four classic flavors. Whether you're trying to help soothe a heavy heart or bring much-needed cheer to someone's somber day, the creamy treats in this sympathy gift are sure to bring a measure of comfort and perhaps evoke a smile.